Dr. Kay Segler, head of BMW’s M Division, told Dutch magazine Autovisie that BMW has sold every M3 GTS. In less than three months all available models have found their way to an owner somewhere around the globe. The only thing they have to do is wait until the first street-legal M-racer leaves the factory next Spring. BMW hasn’t released any information on the amount of vehicles sold. 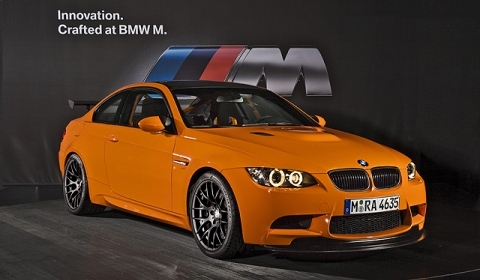 The 2011 BMW M3 GTS is a track-biased version of the current E92 M3. The weight loss is a major point for the vehicle. 190kg have been lost, in total the car weighs 1,490kg. BMW have cranked out an extra 30bhp to make a total of 450 naturally-aspirated horsepower. 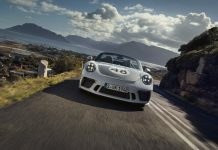 The capacity has been increased to 4.4-liters for the extra power compared to the 4.0-liter V8 that’s found in the standard car. Add to that a titanium exhaust system and we’ve ticked both the power and sound boxes. 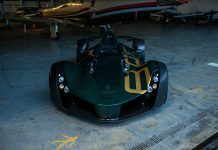 You want to know more about this ultimate trackday toy? Click here! Anybody here who bought one?